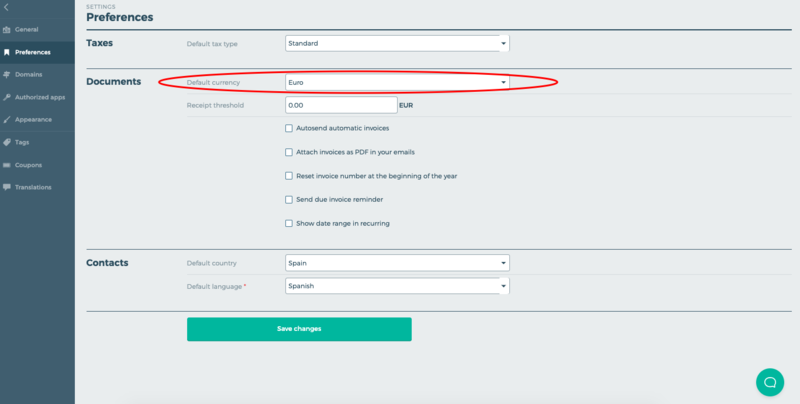 You can change your default currency by logging in and heading to Settings > Preferences and changing the default currency there before clicking Save changes. You can also change invoice currency on a case-by-case basis either when creating or editing an invoice. Where are Quaderno invoices compliant?